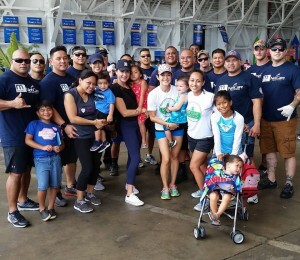 Each year, United Airlines hosts its annual signature plane pull event, uniting the community in support of the fight against cancer. This year, 39 teams participated in this community event, “Towing the Line to Save Lives”. Congratulations to The United Fire Family for successfully pulling a Boeing 737-800 12-feet in only 5.34 seconds! Sponsored by the Committee to Elect Regine Biscoe Lee, the team took first place in the co-ed division.